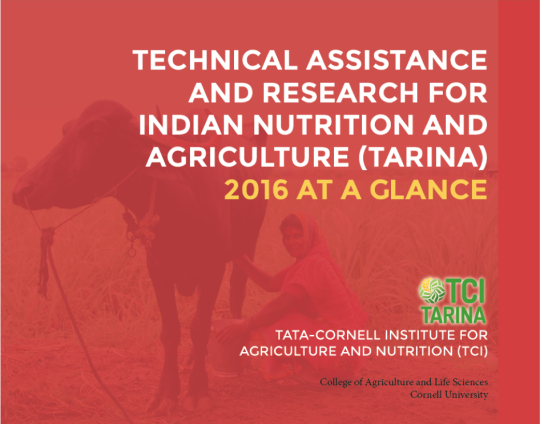 The Technical Assistance and Research for Indian Nutrition and Agriculture (TARINA) Chapter of the Tata-Cornell Institute’s 2016 Annual Report has been reprinted as standalone report entitled TARINA 2016 at a Glance. This document provides a detailed summary of the project’s objectives, approach, and milestones achieved by TCI over the past year, the first year of the grant. Next year’s issue will feature additional detail on field-based interventions that have been implemented by TARINA consortium partners in the various project locations.